Chocolate is one of the best things in the world. I don’t know anyone who hates chocolate or simply dislikes it. People love different types of chocolate or chocolate in different forms. Chocolate gives us happiness, gives us satisfaction, gives us a happy high. I can keep raving about chocolate but what I really want to tell today – that is on the World Chocolate Day that chocolate is something that helps us through thick and thin like literally when you are upset you eat chocolate, when you are happy you eat chocolate. At least that is with me because I am an emotional eater. Leaving my disorders aside and coming back to chocolate. Chocolate is great to eat but complicated to work with. It is such a versatile ingredient but Chocolate in its pure form is very moody. Or rather it easily gets affected by things like temperature, humidity, water and more. 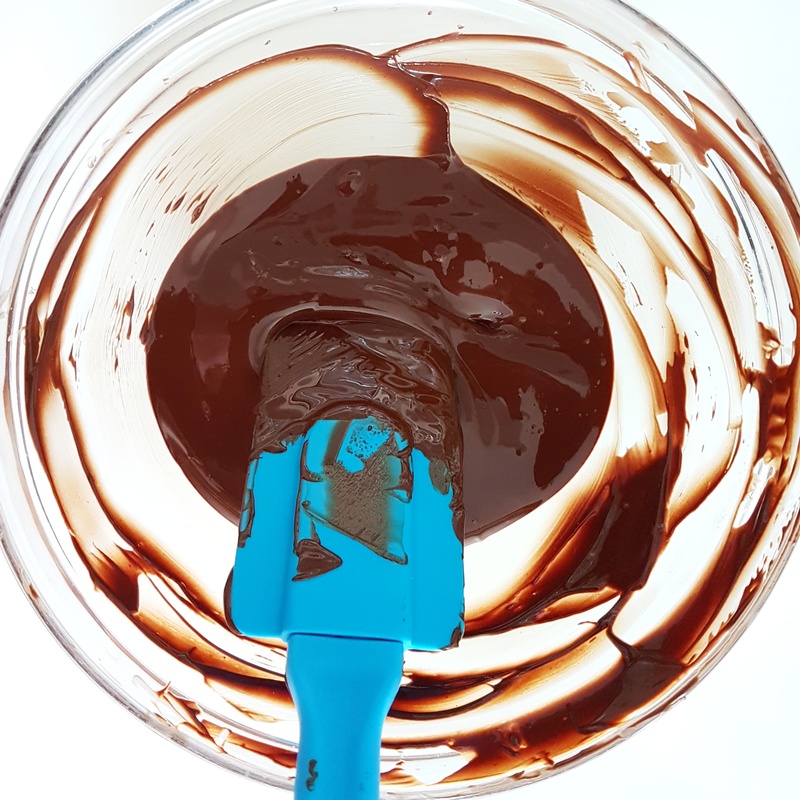 So even if this is a widely written topic, I would like to share my experience on it, because I will be writing on how to temper chocolate in hot and humid weather and most importantly at HOME. Storage: Firstly depending on what part of India you are in, it is going be hot and worse it is going to be humid. Mumbai is both – hot and humid. So if you want to work with chocolate at home, it is a bit challenging. I will stress on the fact that you will need an air conditioner. You do, there is no option. Mainly because when you see international websites and videos, they mention “keep chocolate at room temperature” their room temperature is 22 C and our room temperature is 30 C. So hence the complication begins. But I would strongly advise not to keep the chocolate in the refrigerator. NO. The reason simply being temperature change especially massive temperature change is not good for chocolate. And condensation after removing the chocolate from the fridge is going to make things worse. My suggestion: After opening the packet of the chocolate, wrap it with plastic wrap and store it in a cool place at (our) room temperature. Types of Chocolate: There are two types of Chocolate – Couverture and Compound. Couverture is high quality chocolate which contains cocoa butter as its fat content. This is the chocolate to use if making chocolates, truffles or rather anything. I absolutely recommend couverture because of the quality, taste and finish. The result tempered couverture chocolate gives is this shiny chocolate with the perfect crack in it. Compound is a cheaper quality of chocolate, the fat used in the chocolate is vegetable oil and not cocoa butter. It is definitely easier to work with. But lacks the quality, taste and finish. If you are buying your chocolate for a cheap price it is probably because it is compound. I really want to stress on the fact that if you are making chocolates or using chocolate for baked goods, please buy good quality chocolate. You will realize the difference in taste, texture and quality once you start using a good quality chocolate. The brand I prefer and probably the best pastry chefs in the world swear by and which is available in India is Callebaut. 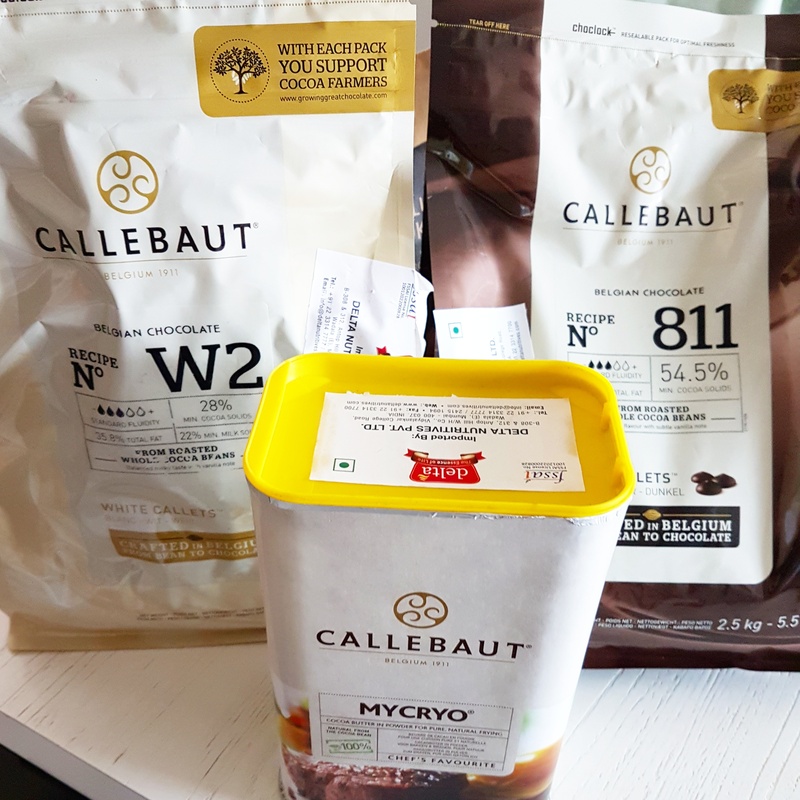 I will say that the price is probably a little on the higher side but if like me and many others you prefer quality over quantity then you know Callebaut is the right choice. Always check the ingredients list on back of the packet to see what type of chocolate you are buying. If the fat content says cocoa butter it is couverture and if it says vegetable oil or any other type of fat it is compound. Tempering: If you see Wikipedia on tempering chocolate, ” Chocolate tempering, a method of increasing the shine and durability of chocolate couverture” Tempering chocolate is one of the vitally important things to do if you are making chocolates, truffles, bonbon, chocolate decorations or more. It is also one of the complicated techniques to do. Chocolate when made, it is made in the ideal temperature. Every type of molecule is perfectly aligned and chocolate is in its perfect form. But then comes the transporting, the storing, the buying and the getting it home part. All these changes, changes the look of the chocolate. So to get back the perfect form we need to temper it. Tempering is melting the fat crystals in the chocolate, and then rearranging it back by adding stabilized fat crystals into it. Hence stabilizing it altogether, which gets us the chocolate back in its perfect form. Basic idea is – melt your chocolate hence melting the fat crystals, lower the temperature, add stabilized fat crystals and set it – and it is done. Now there are various ways to do it – machine, seeding, tabling, adding cocoa butter and probably more. Machine does the traditional way of melting the chocolate max at 45 C, lowering the temperature till 22 C and then increasing it till 31 C by doing so it forms the stabilized fat crystals. Machine is obviously not the choice here, nor is seeding and tabling. Seeding and tabling is when you melt chocolate and then add already tempered chocolate which can either be from your packet or if you have a tempered chocolate because it will contain the stabilized fat crystals which will stabilize the remaining one. 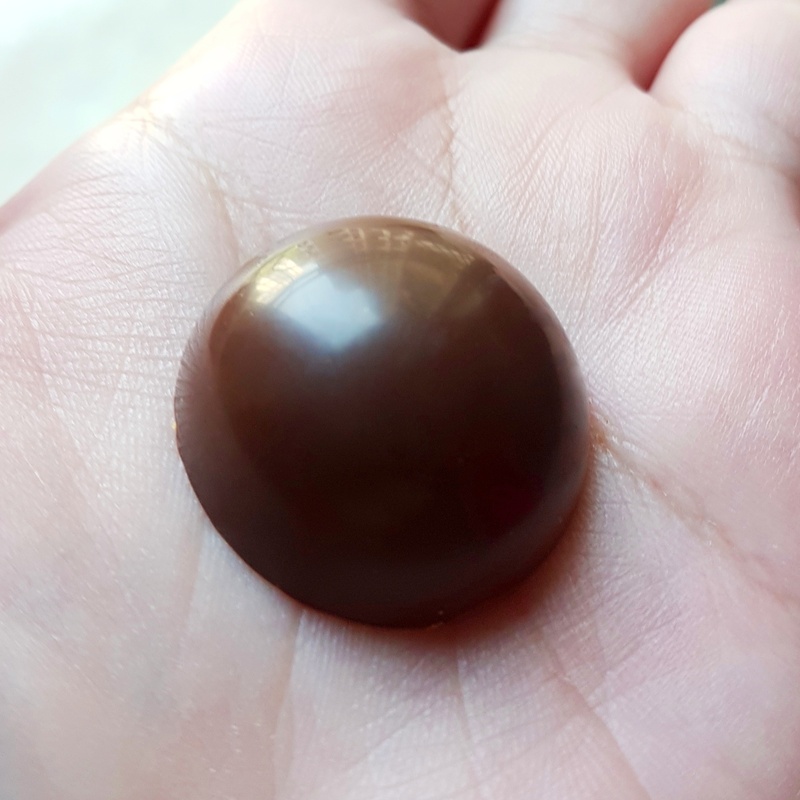 But as I mentioned before because of the different temperature changes that chocolate goes through from various stages from packaging and buying, even though its tempered it doesn’t remain the same. Especially in India where temperature varies from region to region. So the fool proof method of tempering is adding cocoa butter. I use Callebaut Mycyro Butter. It is simple, it is easy and it WORKS! Adding Cocoa Butter: Melt your chocolate by not exceeding more than 45 C for dark and 42 C for milk and white. I use the microwave by giving it 10 seconds bursts. After every ten seconds I keep giving it a good stir. Please don’t go beyond 45 C or else you will burn your chocolate. After your chocolate is melted, go to your room where air conditioner is switched on at 21 C. Keep slowly stirring the chocolate till it reaches 31 C. Do not over stir or you will crystallize the chocolate. Once the chocolate hits 31 C. Add 1% of cocoa butter of your total chocolate weight. For example if you are melting 1 kg of chocolate use 10 grams of Mycryo. Stir till it melts and is incorporated. Do the test: Take a parchment paper or back of a spoon and dip it in the chocolate. If it sets in 5 minutes with a sheen on it. You have done it! The chocolate is tempered. Now use the chocolate as desired. Remember always set your chocolates in an air conditioned room between 21 – 22 C. Do not set it in the refrigerator as it when stored in (our) room temperature it will soften and form condensation. When set in an air conditioned room it will stay normal when stored in (our) room temperature. If it works for you, then join the club. If not, don’t loose hope. Keep trying, till you get it right. I have tried all the techniques numerous times till I finally found the right one. I suggest you do the same. Lovely. Now you can buy Callebaut Couverture online on https://www.bakerykart.com sold directly by Delta. Confirmed delivery within 3 to 4 business days in India.